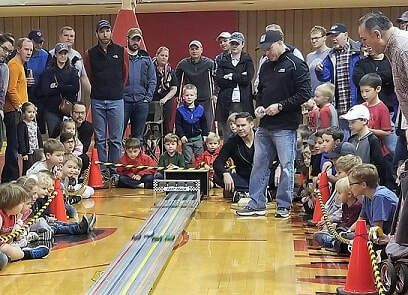 Pinewood Nuts is a family run business delivering Pinewood Derby fun. We work with Cub Scouts, Girl Scouts, Awana Clubs, Royal Rangers, corporations, schools, and families. We love the excitement on everyone's face as their cars race down the track, so we keep our track in great condition, the timer tested, and the software updated so everyone has a great time! ​Pinewood Nuts works primarily ​in and around Carrollton, TX, and are able to take our show on the road to anywhere within a couple of hours of Dallas. Whether you need a track for your 1st or 50th derby, get in touch and we can help.